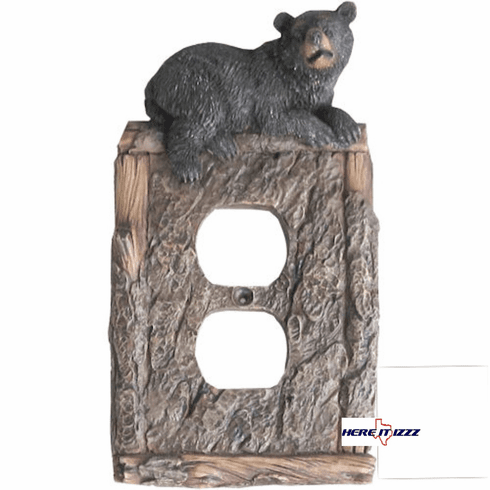 Replace every electrical outlet plate in your Mountain Lodge with one of our black bear electric plug covers. Easy to change an upgrade to a Rocky Mountain cabin feel. Each outlet cover looks like natural wood and tree bark with a great-looking black bear on each one.